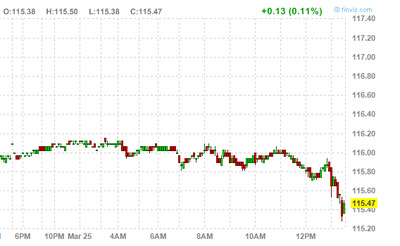 Here’s the part of the day where we talk about how the market is going nuts, and normally we’d publish a market chart. But today, we bring you the 10-year treasury, which has been sick all day and night. In other words, folks can’t sell these fast enough.